Caroline A. Walker, age 77, of 111 Center St., Ridgway, died early Wednesday morning, August 22, 2018, at UPMC Hamot in Erie following a brief illness. She was born October 20, 1940, in Ridgway, daughter of the late John and Grace (Huber) DeGroat. She married Robert Walker in June of 1957, he preceded her in death in 1973. She resided in Ridgway most of her life and was a member of St. Leo Catholic Church, the Ridgway Eagles and the Ridgway Elks. She enjoyed cooking for the Ridgway Firemen’s Bingo, playing Bingo, crocheting, the Pirates, and the Steelers. She loved her grandchildren. She had been employed by IPM, Sylvania, the Ridgway Grill, the V.F.W., the Elks, and was currently working at the Ridgway Record. She is survived by the following children: John E. Walker of Ridgway, Roberta J. (Jim) Benninger of St. Marys, David D. (Paulette Smith) Walker of Conway, SC, and Rebecca M. (James) Richards of Johnsonburg, 8 grandchildren: Duane, Daniel, John, Eric, Kala, Cheyenna, Shane, and Jessica, 17 great grandchildren, 2 sisters: Twila (Ken) Miller of Ridgway and Patricia (Francis) Patterson of Ridgway, 2 nieces, and 1 nephew. Besides her parents and husband, she was preceded in death by 1 sister Rose Heindl. 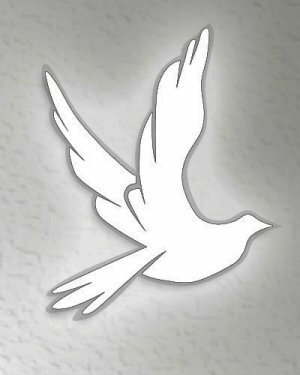 Funeral and Committal Services for Caroline A. Walker will be held at the Thompson Funeral Home on Friday evening at 8:00 PM. Officiating will be Fr. Justin P. Pino, Pastor of St. Leo Catholic Church. Burial will be at St. Leo Cemetery. Friends will be received at the Thompson Funeral Home on Friday from 6:00 PM until the time of the service at 8:00 PM. Memorials, if desired, can be made to the Ridgway Fire Dept. or to the Ridgway Ambulance Corp.